We’ve dodged cringey April Fools’ gags from brands all day. Here’s your running list of what worked—and what definitely did not. Ah, April Fools’ Day. That time of year when a brand’s token Millennial creatives can be taken down from the shelf and properly used. And — much like the Super Bowl — marketing agencies staying out of the festivities will write cheesy lists of their favorite April Fools’ Day pranks, gags, and gifs for the next week. We’re not here to ruin the fun! But nothing destroys brand trust between a consumer and a company like a sudden shift in messaging. Do you often avoid posting gifs or memes as responses on social media? Does your target demographic think April Fools’ Day is childish? 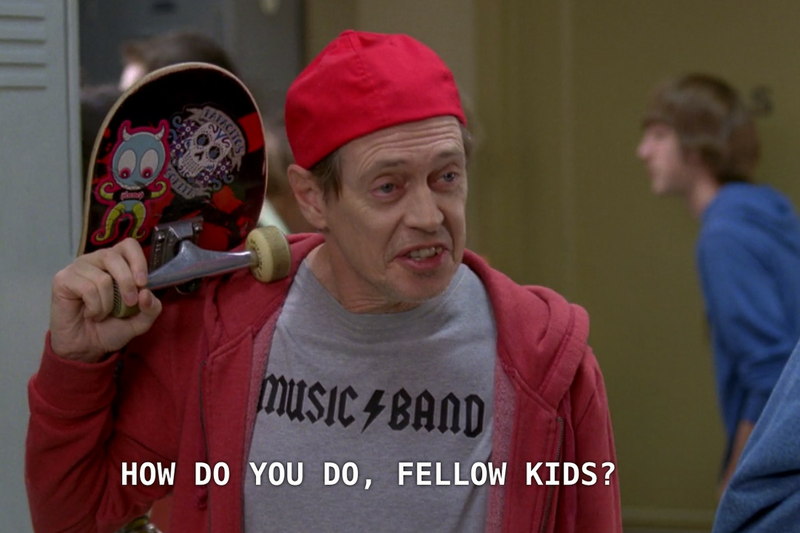 Has anyone on your marketing team had to Google “how to target millennials” within the last year? Are you in the middle of a serious campaign that you’ve been planning for months? Do you forget April Fools’ Day exists prior to April 1 rolling around? If your answer to any of the previous questions was “Yes,” stay away from April Fools’ pranks, jokes, jabs, or generally trying to be funny outside the confines of your office — at least on April 1. Don’t fret. There’s always next year. Here are some brands that aced April Fools’ Day 2019, along with a few that didn’t quite make the cut. Google crushed this year’s April Fools’ Day, but that’s par for the course at this point. The tech powerhouse put out not one but TWO pranks. They offered the iconic Snake game on Google Maps (killing our office productivity by at least 24%) and joked about a screen cleaner being hidden in its Files app. Spotify is our go-to music streaming service in the office (sorry, Pandora), and the Discover Weekly feature remains one of our favorites for sparing us the same Top 50 each day. Today’s April 1 surprise gave us some, um, funkadelic covers to popular songs. We didn’t know a disco remix to “In My Feels” was what we needed. Joke’s on you, Spotify. We all love disco hour. We’re fans of nerdy things here at the DigitalUs offices. (Case in point: we wrote about the Avengers and marketing.) 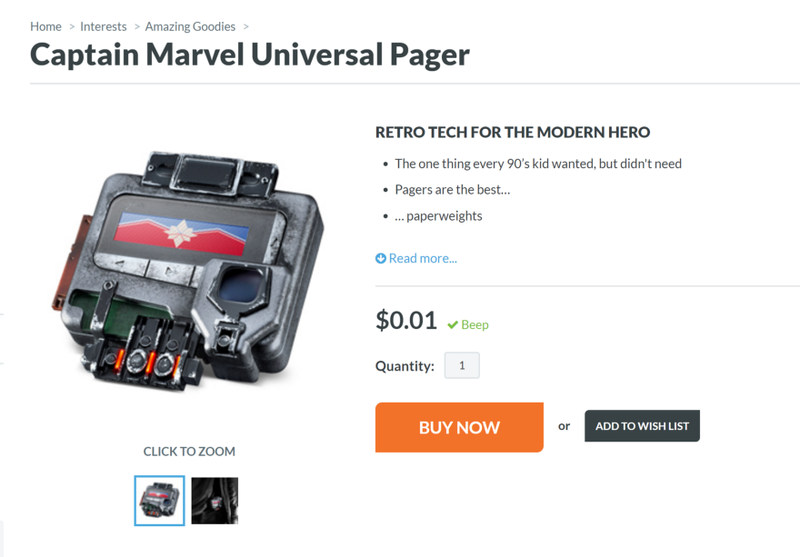 But we got way too excited when some of our developers spotted a Captain Marvel pager on sale for 1 cent via ThinkGeek. Pagers aren’t worth more than pennies now, and they weren’t super useful back then. We took the bait and clicked buy now. The disappointment stung (and our copywriter cried only a few tears) when we realized this was a very clever April Fools’ series. They also promoted a beanbag onesie called All the Right Junk in the Trunk that we now want to replace all desk chairs in the not-so-distant future. Being an Orlando-based company, how could we miss out on what the castle down the road had in store for April Fools’ Day? Capitalizing on their current Disney snacks merchandise boom, the Disney parks put out a brilliant April Fools’ prank - the Snears. Snears are cup holder ears for your snacks, and as frequent theme park visitors, we kind of wish these weren’t a joke. The turkey legs might be a bit of a struggle though, and we don’t think these ears would survive Space Mountain fully loaded. As religious players of HQ Trivia, our team members were excited to get push notifications for a surprise Monday afternoon game. The first question was about black bears. As was the second question. And the third. And the fourth. The game was nothing but un-bear-able puns, bear-related trivia, and a single bear video that became a running gag for the whole game. Well done, HQ. If we ranked this list, Burger King’s would reign supreme. They put out a whopper of an announcement (pun intended). The company never shies away from humor on social media, often blatantly throwing shade at their competitors. And they’ve made some memorable April Fools’ jokes in previous years. Rather than one-up themselves, they changed the narrative they themselves wrote and made an actual, real announcement. Regardless of if you like pickles or not, McDonald’s faux announcement for a pickle-only burger fell short of generating any sort of laughs from people today. The pickle-obsessed crowd lamented the April Fools’ joke. Pickle haters feared the possibility of this being true. The bottom line? Neither side got a laugh, and not even McDonald’s came out a winner?—?especially not after Burger King announced its seemingly legitimate partnership with Impossible Burger. Whoever created this never needs to own a dog. 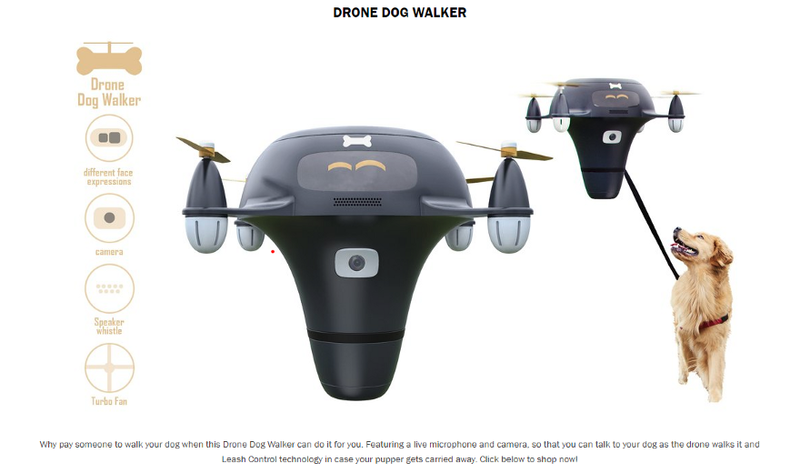 ThumbsUp tried to play up the internet’s obsession with puppers and good bois by creating a drone dog walker, but it fell flat. Why would anyone want leash control technology in case their pupper got carried away? That’s a horrifying prospect! Maybe stick with the fun Star Wars wine stoppers?